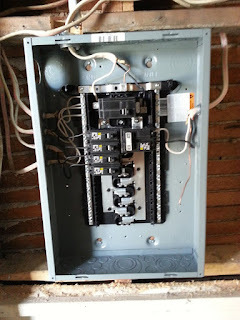 vintage affair: Time for 100 Amp!!! Now that we hit February, my partner was able to get back to work and we got a tax return. 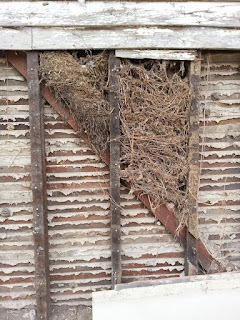 We can get started back on working on the property! 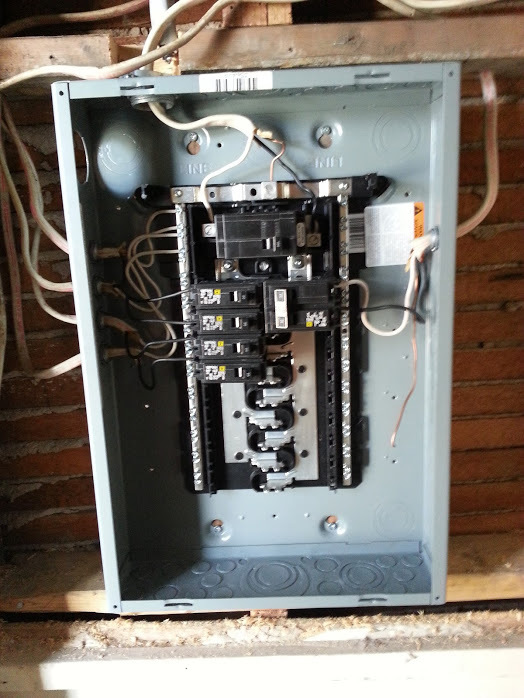 We are approaching the successful end of adding a 100amp service to the parsonage. 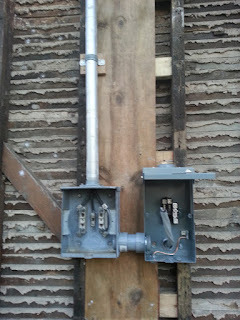 I am hoping tomorrow afternoon I can give the ok to the city to switch the meter over! 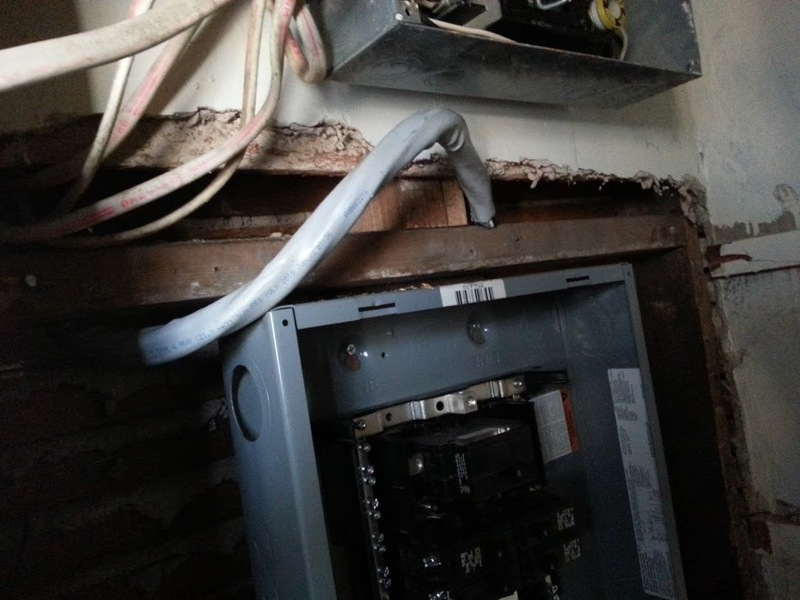 First we had to remove a bit of siding to add the support for the meter and a 100 amp shut off as we had to run a 55ft cable to the breaker box. This huge squirrels nest was found, it went up another 4ft easily. Besides the nest, we also found another newspaper clipping from when the parsonage was built and it talks about Troublesome Tramps on the railroads. 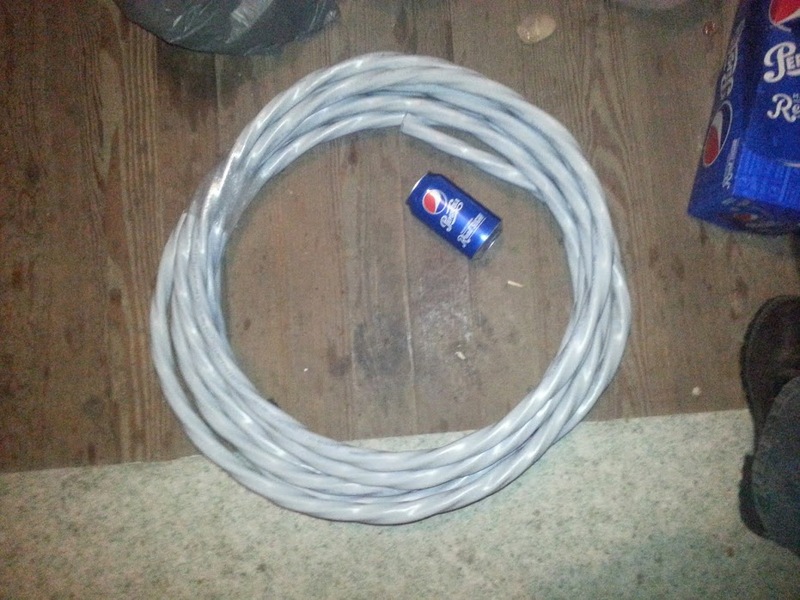 Here are some supplies and here is that cable we had to run in the attic, oh that was fun! 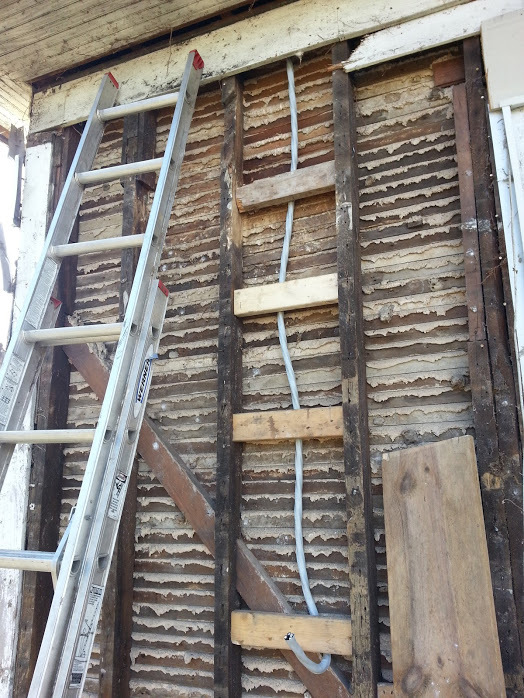 I had to crawl into the attic and drill the holes, then we had to run it. 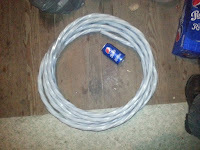 I just about had the second hole drilled, when I realized I didn't charge the drill battery! Here is the cable ran, going to the new 22 space breaker box and running out to where the meter and shut off will be installed. 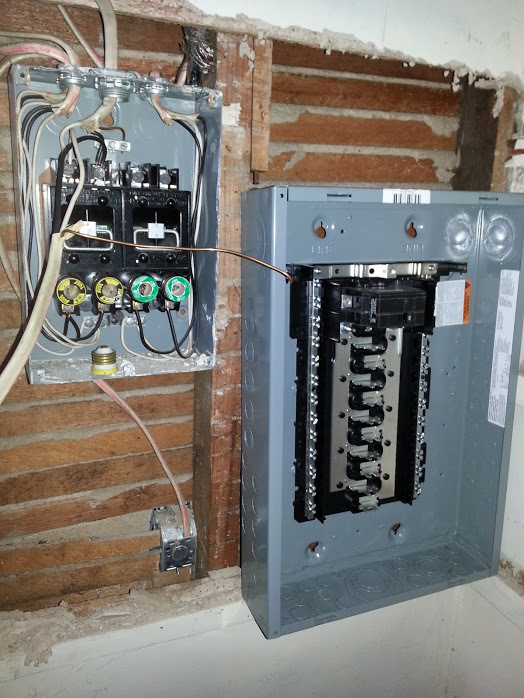 Here is the new with the old, this is the 60amp fuse panel that was installed in the 70s and here is the new breaker box. 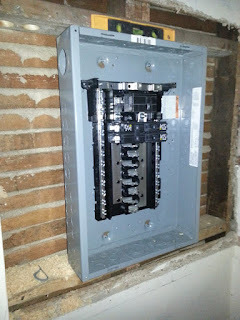 Breaker box all installed and existing wiring all hooked up! 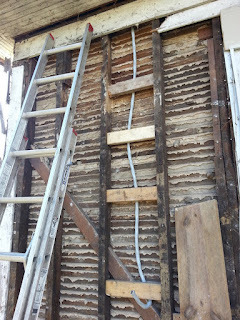 We still have to go around and rewire the entire parsonage as it is just two wire with no ground. What we are installing will have a dedicated ground system. 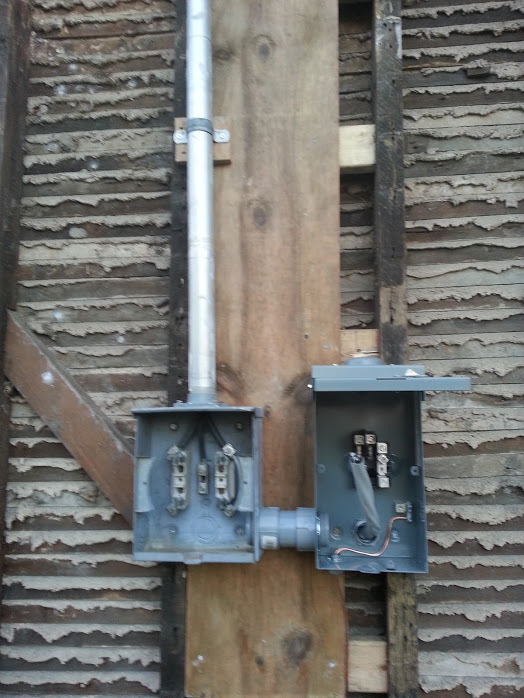 And here we are today with the meter box installed and the shut off installed. Tomorrow I hope to get it all wired together and wired into the breaker box! Remember, follow me on facebook!